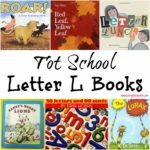 This post, 8 Family Friendly Book Series to Listen to on Road Trips, may contain affiliate links. This means if you make a purchase through one of these links, Penguins in Pink will receive a commission at no additional cost to you. 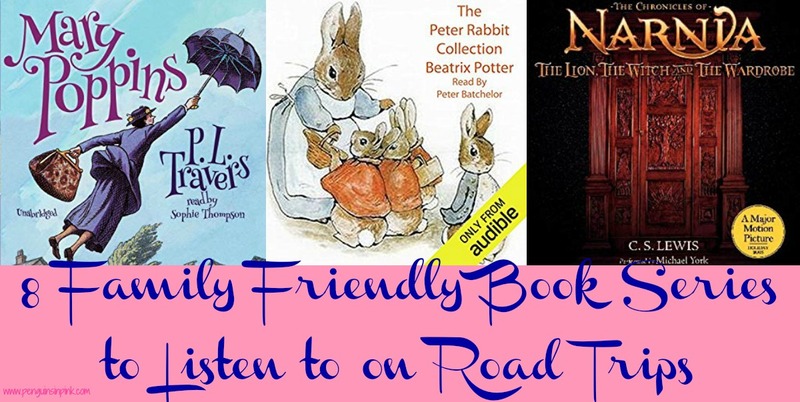 Audio books are one of our family’s favorite things to listen to in the car and especially on road trips. When you have a good book going and the narrator is bringing the book to life, you can almost forget about being in the car for hours on end. I know it sounds crazy but it’s a great way to pass the time. 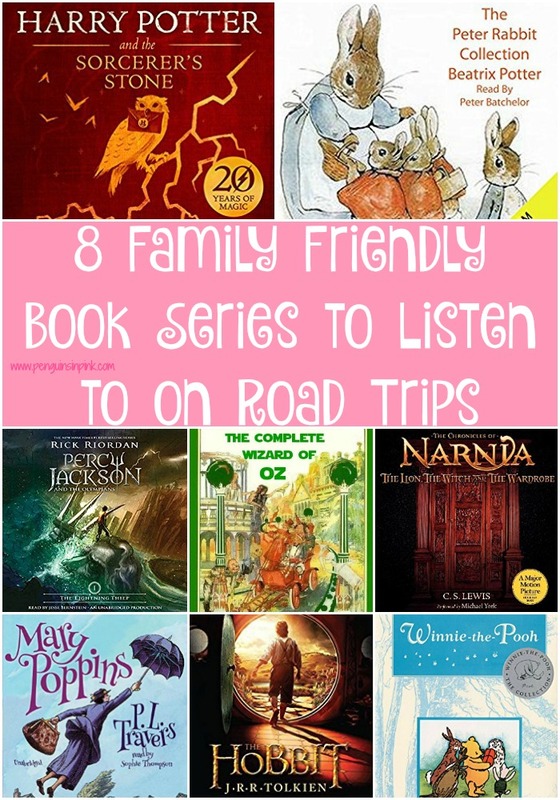 Today I’m going to share 8 Family Friendly Book Series to Listen to on Road Trips. These series are our favorites to listen to on road trips. We have been listening to audio books in the car since the girls were toddlers. We started with short stories and advanced to chapter books. By the time Cakey was 3.5 years old her favorite thing to listen to in the car was The Lion, The Witch, and The Wardrobe. Peter Rabbit and Winnie-the-Pooh audio books are great if you have some of the board books versions for the littles to looks at. 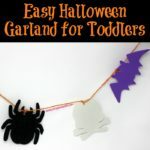 When they are older they can follow along in the regular versions. The Peter Rabbit Collection by Beatrix Potter – There are 18 stories in The Peter Rabbit Collection. Winnie-the-Pooh series by A.A. Milne – The books in this series are Winnie-the-Pooh, The House at Pooh Corner, When We Were Very Young, and Now We Are Six. The last two books in the series are poetry books and not stories of Winnie-the-Pooh. The Chronicles of Narnia by C.S. Lewis- The books in the series are The Lion, The Witch, and The Wardrobe, Prince Caspian, The Voyage of the Dawn Treader, The Horse and His Boy, and The Magician’s Nephew, The Sliver Chair, and The Last Battle. I swear we have listened to The Lion, The Witch and The Wardrobe a couple dozen times. The Wizard of Oz by L. Frank Baum- There are 22 stories in The Complete Wizard of Oz Collection which is over 91 hours of audio enjoyment. The Mary Poppins Series by P. L. Travers – The books in the series are Mary Poppins, Mary Poppins Comes Back, Mary Poppins Opens the Door, Mary Poppins in the Park, Mary Poppins in Cherry Tree Lane, and Mary Poppins and the House Next Door. Harry Potter Series by J.K. Rowling – The books in the series are Harry Potter and the Sorcerer’s Stone, Harry Potter and the Chamber of Secrets, Harry Potter and the Prisoner of Azkaban, Harry Potter and the Goblet of Fire, Harry Potter and the Order of the Phoenix, Harry Potter and the Half-Blood Prince, and Harry Potter and the Deathly Hallows. The girls and I made it through the first two books during our solo round trip to Birmingham, AL a couple of years ago. The Hobbit and The Lord of the Rings Trilogy by J.R.R. Tolkien – Start with The Hobbit and then move on to the rest of the trilogy as the kids get older. The books in this series are The Hobbit, The Fellowship of the Ring, The Two Towers, and The Return of the King. We started listening to The Hobbit on our last road trip and the girls seems to be enjoying it. Percy Jackson and the Olympians Series by Rick Riordan – The books in this series are The Lightning Thief, The Sea of Monsters, The Titan’s Curse, The Battle of the Labyrinth, and The Last Olympian. The Percy Jackson series is one of our favorites. 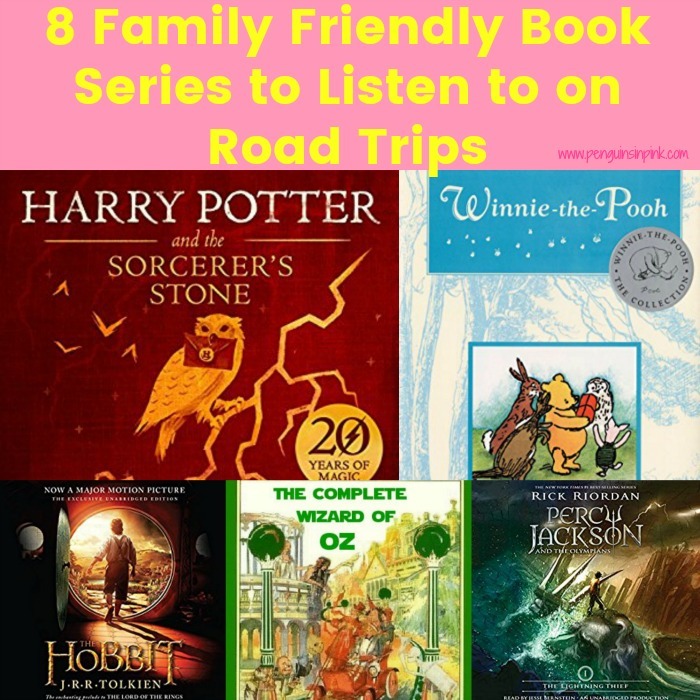 These are our 8 Family Friendly Book Series to Listen to on Road Trips. 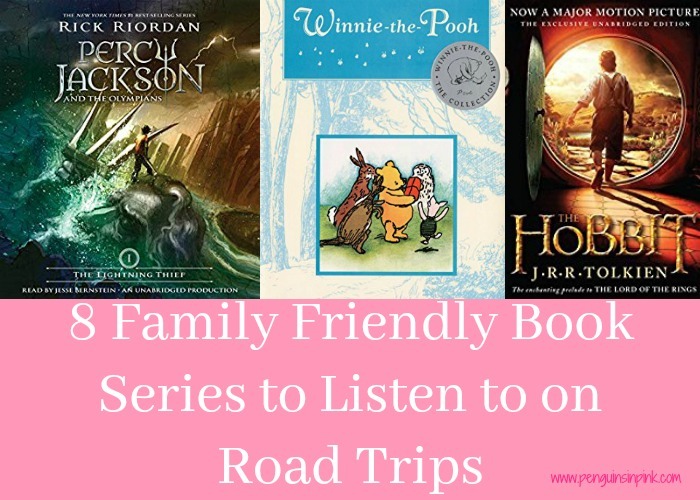 What are some of your family friendly book series to listen to on road trip?